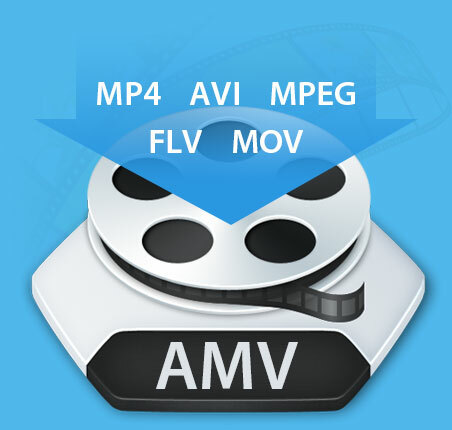 Tipard AMV Video Converter is easy to use video to AMV converter for you to convert any video formats like MP4, AVI, MPEG, FLV, MOV to AMV, MTV video to playback on MP4 players, as well as S1 MP3 players. You can also convert these imported formats to MP3, MP2, WAV audio formats with excellent video/audio quality. This AMV Converter provides you more editing functions, including trim, crop, merge and watermark. Plus, with newly adopted multi-core CPUs supporting technology, it has gained better performance on video converting. 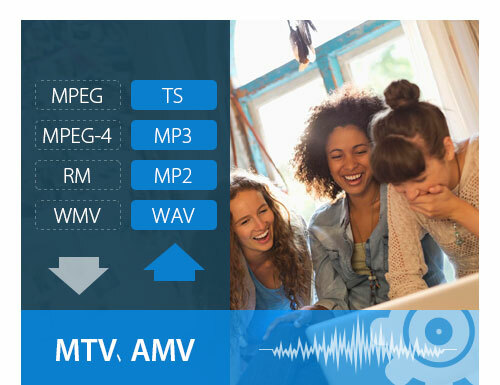 Tipard AMV Video Converter enables you to convert all popular video formats including MPEG, MPEG-4, RM, WMV, ASF, TS, 3GP, MP4, FLV, AVI to AMV, MTV videos and then enjoy them on your favorite MP4 players. You can convert input videos including MTV, AMV to MP3, MP2 and WAV audio formats for your excellent music enjoyment. You can capture and save your favorite pictures of the video in the default folder. 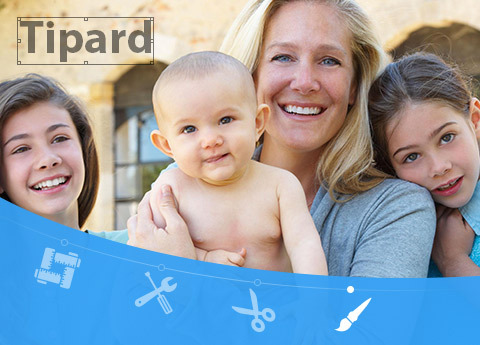 It is capable for you to choose subtitle and audio track or no subtitle. Set video Encoder, Resolution, Frame Rate, Bitrate and audio Encoder, Sample Rate, Channels, Bitrate then save all the output settings as your preference, which is saved in the user-defined column automatically. You can set video brightness, contrast and saturation to get the customized effects. The Deinterlacing function allows you to convert an interlaced video to progressive one and get an optimized video. Add watermarks to a video in the form of texts or images with this AMV Video Converter tool then you can set its position on the screen and its transparency. Tipard AMV Video Converter allows you to join separated videos or audios into one file. This AMV Video Converter enables you to convert the same source file to different formats with only one conversion. As AVI to AMV Video Converter, MP4 to AMV Video Converter, it allows you to preview the effects of converted or edited videos simultaneously. 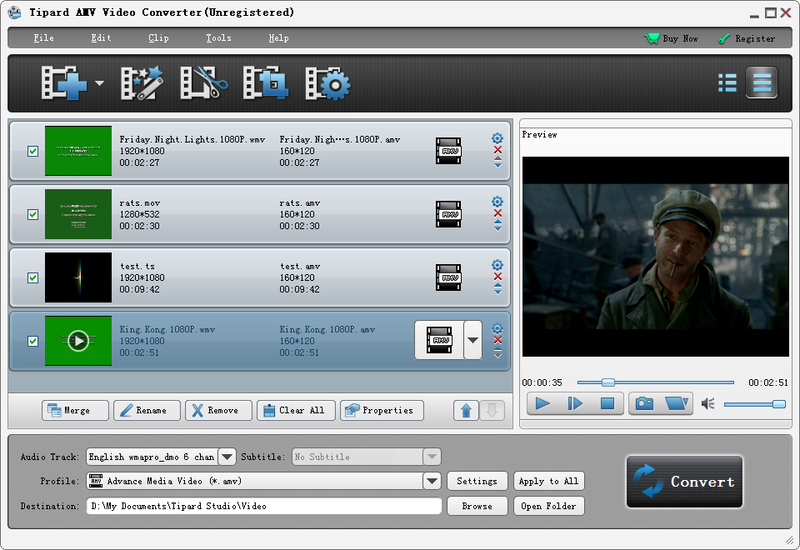 MP4 Video Converter to convert any video format to MP4 format. Convert FLV to other popular video and convert other video format to FLV.